Frank Hamilton School Summer Concerts! New Term Starts THIS EVENING, 7pm @ Oakhurst Baptist Church! This past weekend the Frank Hamilton School Band kicked off the main stage at the Virginia Highland SummerFest at Noon with a rousing set that was followed by FHS Concert Series paticipant Donna Hopkins (Sept 1 @ Red Light Cafe with Daniel Hutchens). Later that evening, the Frank Hamilton and the band performed an outstanding set at the Hungry Ear Coffee House. We are thrilled about the upcoming concerts that are part of the Frank Hamilton School Concert Series! This summer between now and the end of August, expect some outstanding performances from some homegrown talent, high octane North Carolina acoustic energy, the celebration of the music of one of the most important visionaries of the past 50 years, and a critically acclaimed Southern songwriter with a theatrical flare. Scroll on down for more details! We also have plans to participate in some free outdoor summer activities so please stay tuned as we continue to move forward. There are many wonderful things ahead involving FHS both on the class side and the community outreach side, and now is a special time to become involved as a volunteer, a student, a patron of the concerts or attendee at a free public event. There is a great energy out there, and we at the Frank Hamilton School are ready to bring it to all of you! 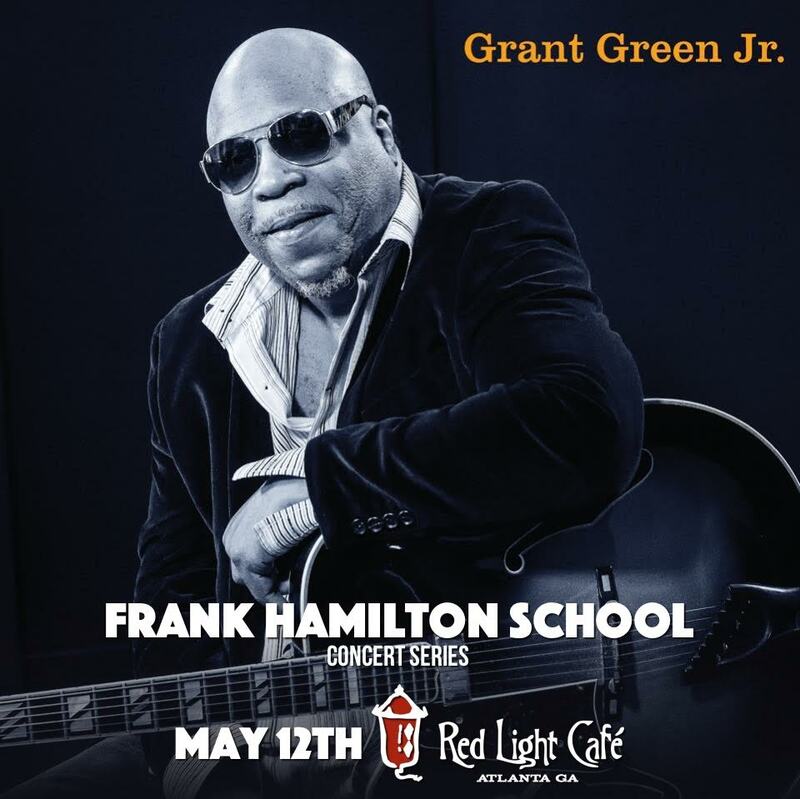 Frank Hamilton School is excited to bring you some high energy sounds from North Carolina with the The Josh Daniel/Mark Schimick Project and special guest Rev. Jeff Mosier! Formed in early 2014, The Josh Daniel/Mark Schimick Project is a fiery string band blending bluegrass, soul, reggae and rock n’ roll into a style uniquely their own. Respecting their Appalachian roots, these passionate multi-instrumentalists have a way of blending their harmonies and intricate string work in to something that appeals to a wide variety of listeners. Wed July 13, 2016 @ Eddie’s Attic, Showtime 8 PM, $12 Adv/$15 door ~ Advance Tickets available soon! The Frank Hamilton School is excited to present an amazing lineup of musicians paying tribute to one of the most influential musicians of the last several generations and the creator of his own style called Dawg Music, David Grisman. For nearly half a century, mandolinist/composer/producer Grisman has been at the forefront of the always evolving world of acoustic music, weaving in and out of many genres, tradition and styles. Bluegrass, Jazz & Latin are just a few of the styles that will be represented throughout this performance, so sit back, relax, and take in the musical notes of Grisman as seen through this A-list of musicians who will be bringing you the music this evening. it is an honor to pay homage to such a musician as David Grisman, who has influenced so many musicians either through being a member of the David Grisman Quintet (or Sextet) or through any number of his collaborations with a who’s who of American string music or simply as a fan being turned onto something so incredible. Don’t miss this one! Come on out to any and all of these shows, as they are going to be REALLY GOOD! On a personal note, I can say that I am truly happy to be doing this job, as it allows me to continue bringing you some great music, and as the School grows, so will the concerts! Please consider participating as a donor, a patron, a volunteer, a student! Please spread the good word about what we’re doing. Busy Weekend for Frank Hamilton School! Acclaimed songwriter Martha Scanlan (from Reeltime Travelers), Sun May 14 in a backyard concert setting! Complete information Click Here! Beautiful weather is forecast for this weekend in Atlanta with highs in the 70’s and low 80’s, so don’t be bashful about getting on out and enjoying community, exercise, or whatever floats your boat! If the masses at Shaky Knees Festival in Centennial Park aren’t your thing, there are some fun options in which The Frank Hamilton School are participating, and they’re FUN! Kirkwood Spring Fling FREE – We will be located at the entrance to the festival on Kirkwood Dr., come visit us! 20 minute performances featuring Frank Hamilton will happen at Noon, 1 PM & 2 PM. There will be one more performance at 3:30 PM featuring contributions from the music community. Please visit the website for complete information including directions, live music offerings, food vendors, etc. It’s a wonderful local event! Come on out y’all! Tucker Day FREE – Frank will head from the Kirkwood Spring Fling straight on over to Tucker Day, happening just east of Decatur on Main St. between Lawrenceville Highway and Lavista Rd. (dead-ends into Tucker High School). Frank will be performing in the Food Court Tent at the 1st Ave./Main St. intersection from 3:30 PM-4:15 PM. Another wonderful local festival! ~ Gate opens 5 PM, Showtime 6 PM. BYOB, bring a chair, bring a grillable if you like, some apps will be available but feel free to contribute! Bring your instrument for some after show jamming! On behalf of The Frank Hamilton School, TDawg Presents is excited to bring you the acclaimed and gifted songrwrtier Martha Scanlan, formerly from the Reeltime Travelers, for a Sunday backyard gathering. This concert is a benefit for the Frank Hamilton School, so come on out and support a wonderful cause while witnessing magic on the stage with Martha’s presence. Martha hasn’t been around these parts very much in recent years so this will be a special performance!